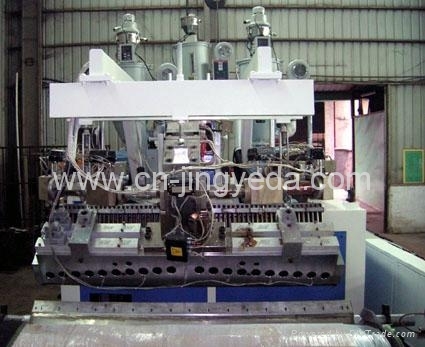 3-layer CPP Sheet Co-extrusion Line - China - Manufacturer - 4. 1. 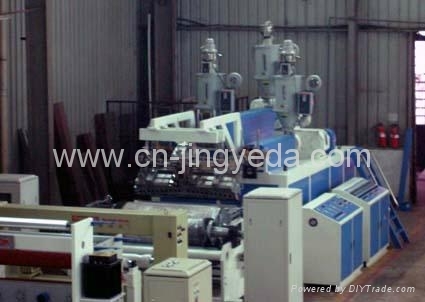 Main machine has 3 extruders with a ratio of length to diameter of 32:1. Extruder A: D100 mm. Extruder B: D65 mm. Extruder C: 65 mm Each with an auto loader and a double-filter exchanger. 2. Distributor employs a valve that may inline freely adjust the flow quantity and layer ratio. 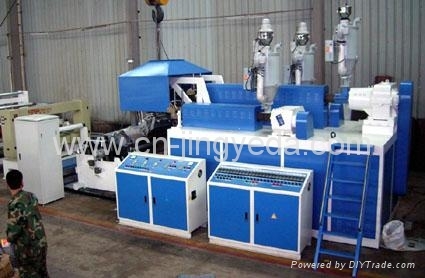 The co-extrusion method are: A/B/C, A/B/A or A/B. 3. MJ-CPP/1500 mm Automatic T-die : Top Taiwan T-die with JOG bolts for both manual and automatic adjustment. With 7 heating zones. A. HPW-2002 Web Material Quality Control System: includes 1 operation station and 1 scan frame. 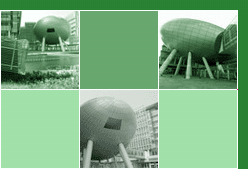 B-ray as measurement medium. PC program control. Precise and mature. Nuclide name: Pm147. Unit activity: 11 GBq. With both static and dynamic calibration function. With both local and remote control functions. 6. BDC-16KW Corona double-side treatment unit by a top China college. C. Air shaft. D. Overturn device.